The wonderful Nutritionist and Dietitian Ashleigh Feltham from Feed Your Future Dietetics – who collaborated with Qi on some of the blends in our new Coles range – has been kind enough to talk us through how our three Coles blends DETOX, SLIM and DIGESTIF can work together to help your gut health. Hi everyone, I’m accredited dietitian and nutritionist Ashleigh Feltham from Feed Your Future Dietetics. Today, I’m talking to you about how to target your gut health using organic functional tea. You’ve probably seen this tea before in Coles, Woolies or organic shops. 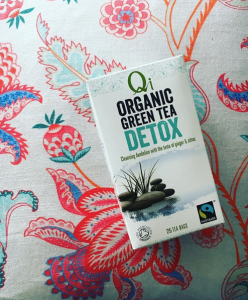 Qi Detox Tea has been one of Australia’s most popular natural cleansing tea for years. 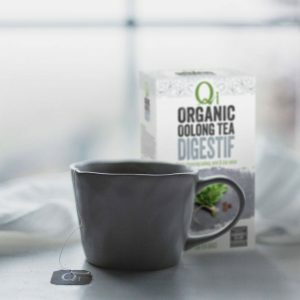 About a week ago, Qi introduced two new blends – Qi Slim and Qi Digestif – to create a program of teas that target your gut health. 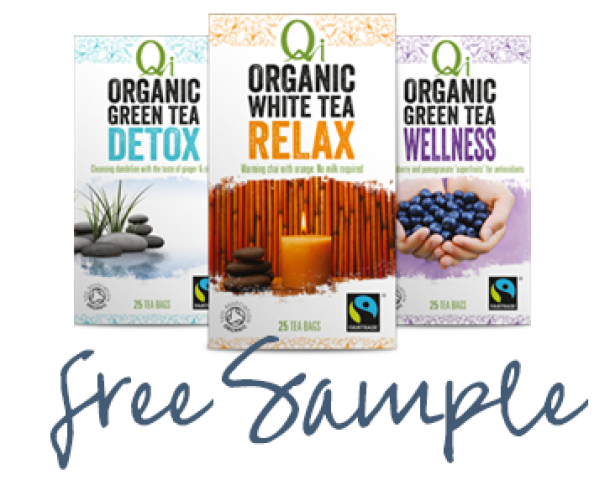 As Qi’s representing Nutritionist and Dietitian, I collaborated with the team in Melbourne on some of these tea blends. 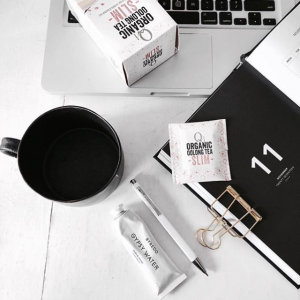 These three teas together have you covered through the day. We can use Detox for cleansing in the mornings with milk thistle and dandelion root. It’s interesting that Qi Detox is the only detox tea on supermarket shelves with functional ingredients like these. Then we have Qi Slim to boost metabolism and curb appetite in the afternoon, with warming spices and oolong tea that kick start a process called thermogenesis in your body. And to finish the program off, just launching is Digestif with its mint leaf, star anise and ginger to help reduce bloating and aid digestion after meals. Fair trade, organic, and I think they all taste pretty great. This cleansing program is launching exclusively in Coles this week. Grab one of each and let us know what you think by reviewing on Facebook! Detox, Slim and Digestif are available at Coles nationally.